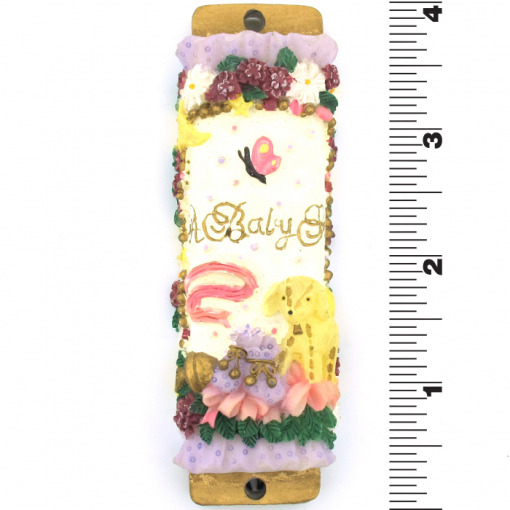 The Baby Girl Mezuzah by Reuven Masel features a detailed scene of a lamb, baby shoes, and a rattle surrounded by a border of flowers. 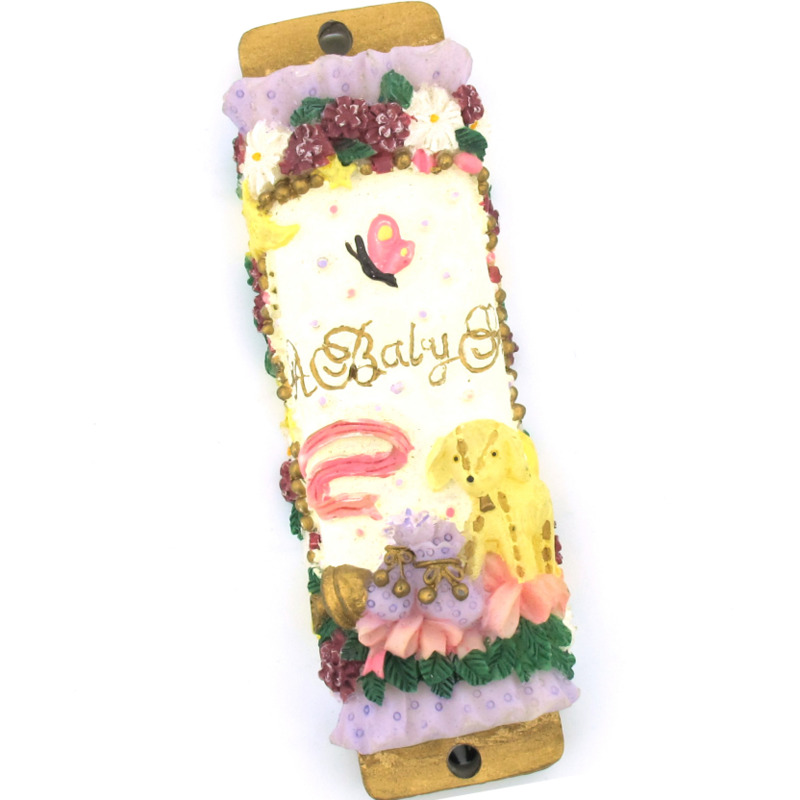 The text, “a baby girl” is written in script. 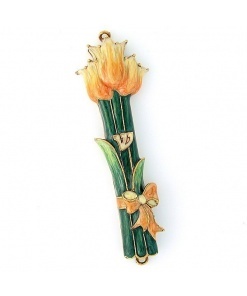 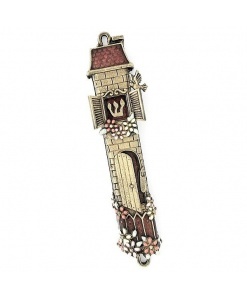 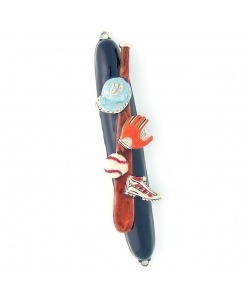 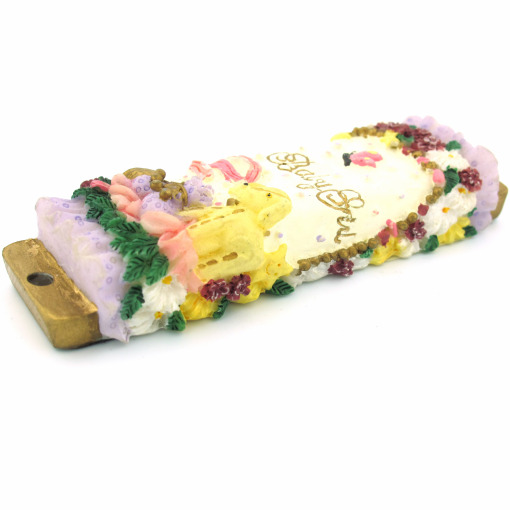 This mezuzah is a perfect addition to a baby girl’s nursery.